The General Secretary of the National Council of Churches in the Philippines expressed sadness and dismay at the failed attempt of the national humanitarian mission to extend assistance to at least 400 family-evacuees around Mt. Banoi, Batangas following the September 24 operations and the air strikes that ensued. “In times of conflict and crisis, immediate concern are non-combatants who will need assistance because of the interruption of their livelihood,” Rev. Rex Reyes, Jr. said. 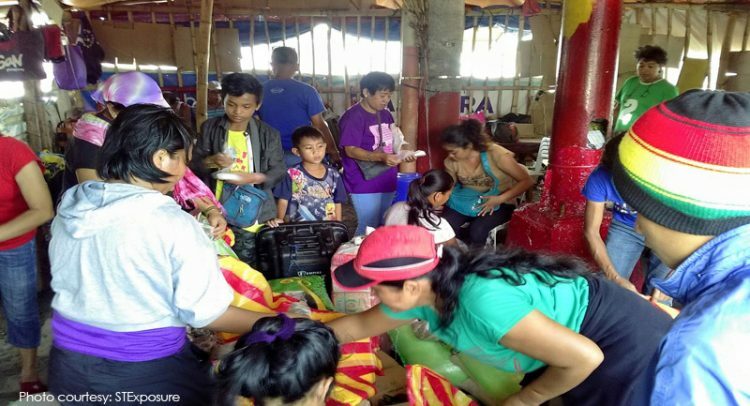 It is a joint effort of government, and civil society and faith-based organization because in evacuation centers, there are bound to be hunger and health issues. Reports reaching his office said the composite team composed of people from Our Mother of Perpetual Help Redemptorist Church, the Southern Tagalog Ecumenical Movement, the Batangas Ecumenical Council, Pilgrims for Peace and some from the member-churches of the NCCP failed to reach the evacuees. The report said they were prevented from proceeding by the Batangas PNP SWAT and the Regional Public Safety Battalion of Police Regional Office 4A. The crisis in Batangas erupted following a reported clash between government troops and elements of the New People’s Army. Bombing ensued, resulting to evacuation and the suspension of classes in fifteen schools in 12 barangays. Reyes was also told that environmental groups revealed that certain areas in Lobo and San Juan are being eyed by foreign mining groups. Local residents, some officials and environmental groups have opposed these mining projects. Reyes expressed hope that the crisis in Batangas will not escalate and that the air strikes will end soon.